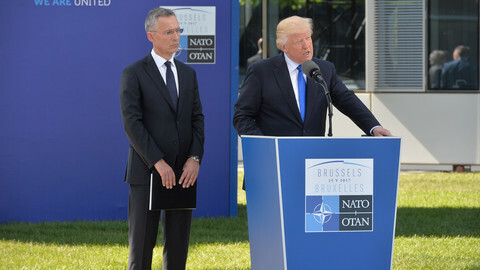 Nato chief Jens Stoltenberg defended US leader Donald Trump’s behaviour at Thursday’s (25 May) summit. The prime minister of Montenegro also apologised for him. 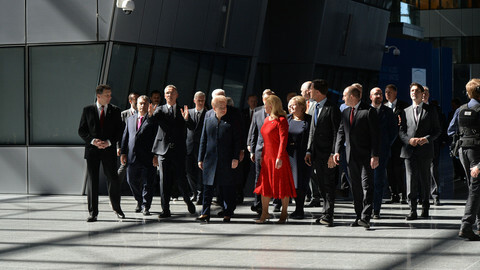 They spoke after Trump declined to pledge allegiance to Article 5 of the Nato treaty on mutual defence and complained that most allies were not spending enough. He also barged aside the Montenegrin leader in front of cameras. Stoltenberg said the fact that Trump inaugurated a monument to 9/11 on Thursday and was willing to spend more on US forces in Europe made up for his verbal omission. 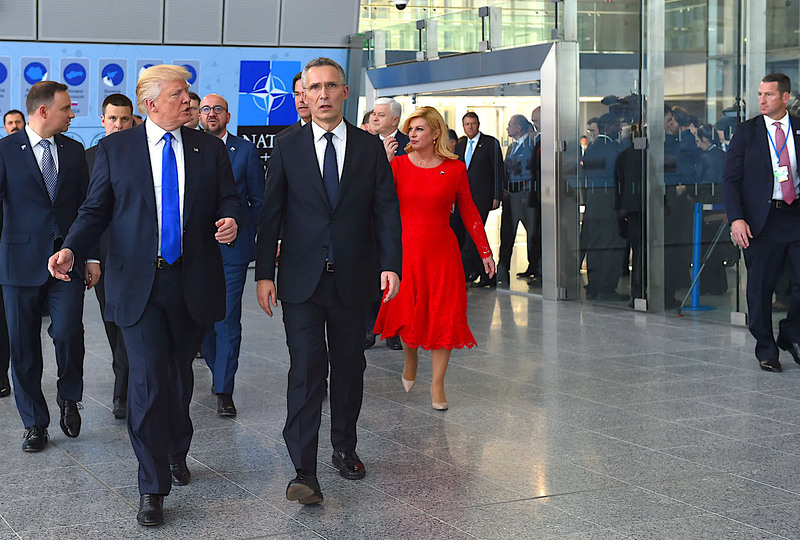 “The president [Trump] inaugurated a 9/11 and Article 5 memorial and by doing that he sent a strong signal,” Stoltenberg said, referring to the fact Nato allies fought alongside the US in Afghanistan under Article 5 after the 9/11 attack. He said Trump had a few days ago signed a US budget proposal to hike spending on US forces in Europe by 40 percent in what Stoltenberg called “the best demonstration of commitment to the alliance”. 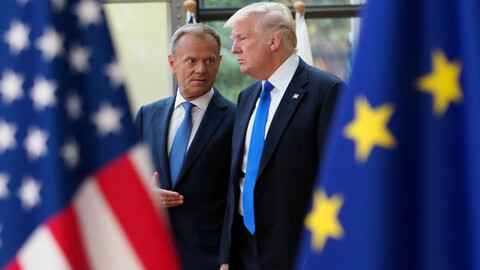 He added that Trump and his top officials had previously voiced Article 5 support, including “personally” with Stoltenberg at their meeting in the US in April. Trump went on to complain that Nato states owed the US taxpayer money and to say that a Nato “core task” should be to control “immigration”. Those comments were confusing because Nato financial contributions are voluntary and because its core task is territorial defence. 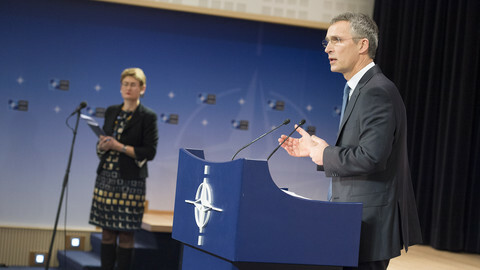 Referring to Trump’s talk of money, Stoltenberg said: “He [Trump] was blunt on that message today and we have seen this plain speaking from the president also before”. He later called Trump’s manner “very blunt”. 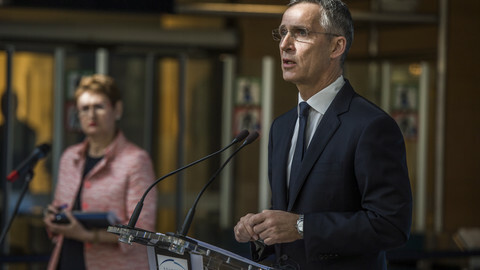 Nato allies do not have debts, but Stoltenberg said they had promised three years ago to spend 2 percent of GDP on defence by 2024 and that there was still a long way to go to meet that. He noted that Nato was helping the EU on immigration by surveillance of migrant boats in the Central Mediterranean and Aegean seas. 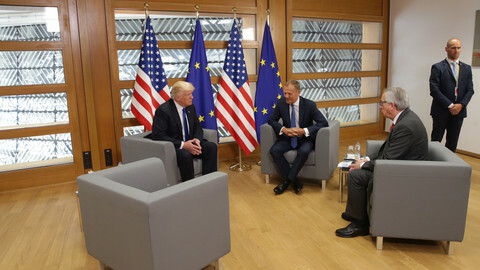 Trump, on his first visit to Brussels, also said Germany was selling too many cars, had a visibly awkward handshake with the new French president, and pushed aside the Montenegrin leader at a joint photo. Montenegro’s prime minister, Dusko Markovic, whose country is to join Nato in June, later told press: “It didn't really register. 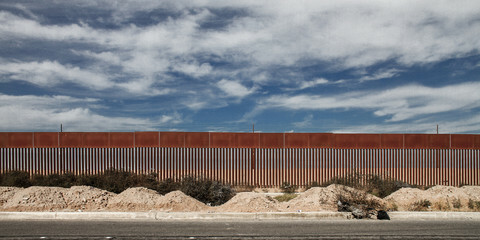 I just saw reactions about it on social networks. It’s simply a harmless situation”. “It’s natural that the president of the United States is in the front row”, he added. Trump’s foreign tour ends in Italy on Friday and Saturday with a summit of the G7 wealthy countries - Canada, France, Germany, Italy, Japan, the US, and the UK. 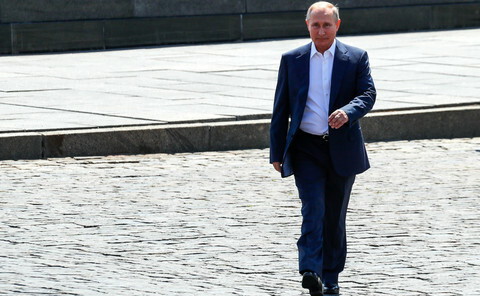 The event will discuss climate change and Russia sanctions in what could prove to be more stumbling blocks. Trump is expected to decide later if the US will stay in the Paris Agreement on climate change and has been soft on Russia’s aggression in Ukraine in past remarks. No agreement on Russia, climate, or trade despite Trump's "friendship" meeting with top EU officials in Brussels. Europe needs to take care of its on security, but not on Trump's terms, with the 2 percent of GDP mantra flawed as a model. EU states in Nato and Canada spent $46 billion more on defence in the past three years in money that is partly being used to buy more “armour”.